Have you ever wanted to create your own legendary medieval kingdom to rule over? Well, now you can, with Minecraft Exploded Builds: Medieval Fortress. Learn how to design, build, and customize every part of your castle and the surrounding area, from sturdy walls and deadly traps to dank, dark dungeons and sprawling villages. Each build has an exploded view to show you exactly which blocks to use, plus extra ideas to make every part of your kingdom unique. 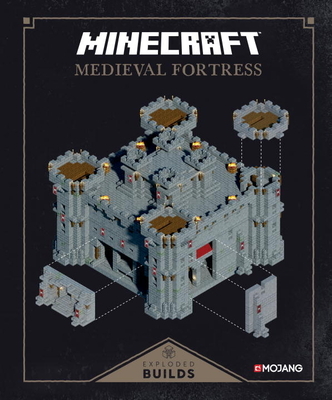 Packed with interesting facts about medieval life, full-color illustrations, and a foldout depicting the epic scale of the kingdom, this official Mojang book has dozens of building ideas to ignite the imaginations of Minecrafters of all ages. Note: This book has been designed to mimic job-site engineering plans. The marks and scuffs on the pages are an intentional design element. Mojang AB is a games studio based in Stockholm, Sweden. The Official Minecraft Team is your source for insider info on the worldwide phenomenon that is Minecraft.